One-year returns jumped to 12%, whilst ten-year returns grew 5%. 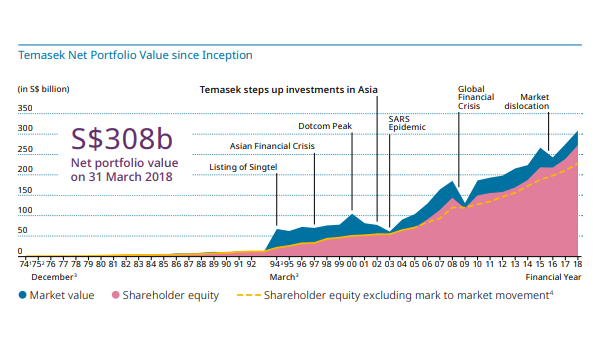 Temasek Holdings’ portfolio value hit a record high of $308b in 2018, up 12% from last year’s $275b and almost thrice the dotcom peak of $100b. 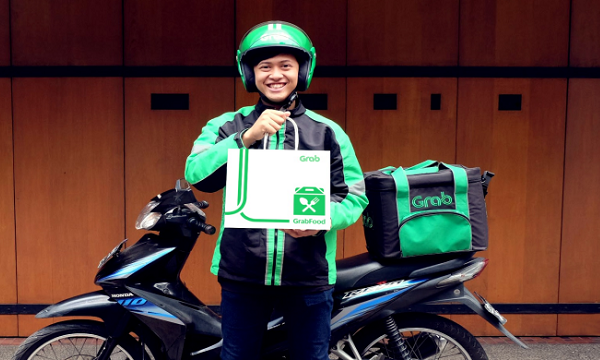 It invested $29b throughout the year. Temasek chairman Lim Boon Heng said in the annual report that the portfolio value was “bolstered by good global economic momentum and buoyant equity markets.” Temasek’s one-year return to shareholders hit 12%, whilst its 10-year return to shareholders climbed to 5%. The 44-year old investment firm received dividends worth $9b from its portfolio. Last year marked its 11th year ending in a net cash position. Temasek said it has a 60:40 underlying exposure to mature economies (Singapore, Japan, Korea, North America, Europe, Australia, and New Zealand) and growth regions. About 27% of its portfolio value if from Singapore, whilst 26% is from China, 15% from the rest of Asia, 13% from North America, 9% from Europe, 7% from Australia & New Zealand, 2% from Africa, and 1% from Latin America. By sector, 26% are from financial services, 21% from telcos and media, 16% from both consumer and transport, 6% from agribusiness, 3% from energy, 8% from multi-sector funds, and 4% from others (including credit). Lim noted that they are generally positive on the global economy but rising trade and geopolitical tensions pose a medium-term risk. “These may dampen the potential for global growth,” he said. “We are tempering our investment pace in the year ahead, but remain open to intrinsically investable opportunities, including counter-cyclical ones,” he added.